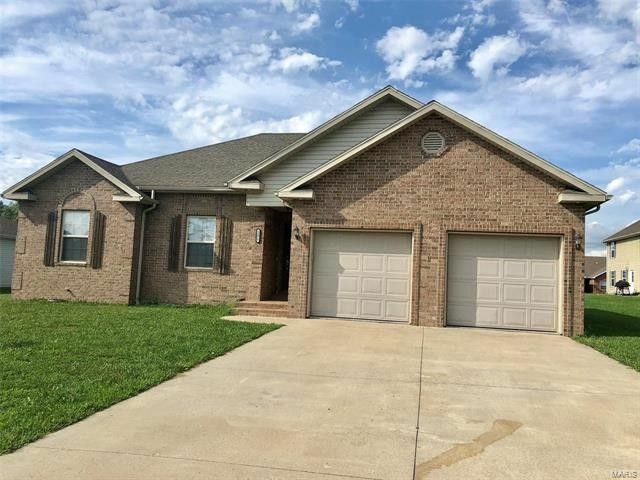 GREAT LOCATION CLOSE TO SHOPPING RESTAURANTS & SCHOOL WITH EASY ACCESS TO I-44 THIS OPEN FLOOR PLAN STYLE 3 BEDROOM 2 BATH HOME HAS A LARGE LVING ROOM OPEN TO THE KITCHEN, BREAKFAST BAR, & DINING AREA. MOST ALL CEILINGS ARE RECESSED., A GREAT LARGE KITCHEN WITH CUSTOM CABINETRY, ALL APPLIANCES PLUS A BIG PANTRY !! A GRAND MASTER SUITE WITH A JETTED TUB PLUS A WALK IN SHOWER, WITH 2 WALK IN CLOSETS. THE KITCHEN, BATHS & LAUNDRY ROOM HAVE CERAMIC TILE FLOORS. THIS HOME HAS GREAT CURB APPEAL. REAR DECK. BRICK & VINLY EXTERIOR 2 CAR GARAGE.